With the opening of the Whangamarino Road bridge last week it’s time to produce another Longswamp project update. 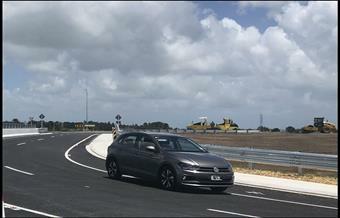 Completion of the bridge – which links eastern and western sides of SH1 – is a major milestone for the 5.9km expressway section. The bridge and local road extensions mean people can safely come and go from rural properties via the interchanges at Hampton Downs and Te Kauwhata. It also ends the detours in place during construction. The December project update also looks at the what’s been happening along the route in recent months and what’s ahead. For general enquiries or contact information about the Waikato Expressway please visit our website www.nzta.govt.nz/waikato-expressway or email waikatoexpressway@nzta.govt.nz or ‘like’ us on Facebook.